Well, here’s your answer: myofascial release. 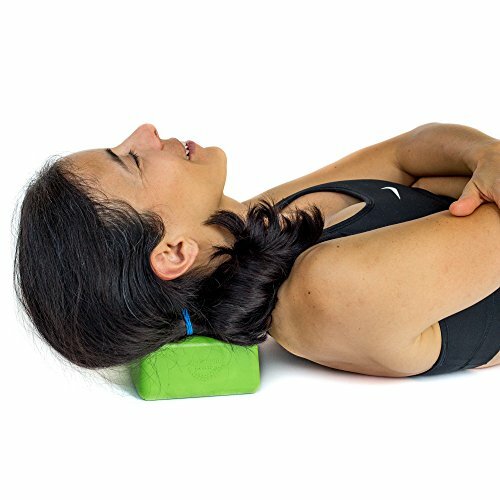 In our modern world of “text neck” and long periods of sitting, myofascial release can offer a welcome relief from muscle tension and tightness with simple techniques that you can do from just about anywhere. With the right tools for myofascial release you can take control of your aches and knots. In its simplest form, myofascial release is the technical term for a form of massage therapy that is meant to make connective tissues (fascia) looser and more flexible with the idea of relieving tightness and pain in your muscles. Repetitive motions or injuries can cause the fascia to tighten up and cause “knots” (also referred to as “trigger points”). A large part of myofascial release includes targeting these trigger points and keeping steady pressure on them to help release them. If you are new to myofascial release and want to learn more of the benefits, see our page on ‘what is myofascial release‘. Why So Many Different Myofascial Release Tools? When you are prepared with the right myofascial release tools and techniques you can expect great results. However, finding the right tools for your body is easier said than done. Different trigger points can be harder to reach than others and may require a tool that is a different shape and level of firmness depending on where it is. For instance, you can foam roll your calves, however, for some people, a massage ball is more effective as a massage ball can sink deeper into the muscle. In addition, the more you perform myofascial release, the more likely you’ll find that the tools that used to work for you aren’t as effective. A large part of finding the right tool means trying a lot of different ones and sticking that work for you. There’s a lot of tools out there often they look (and sometimes feel) like medieval torture devices, but I promise you they will do your body good. It’s not for the faint of heart, but boy is it effective! This guide will cover the most popular myofascial release tools and give advice on their best uses. With that out the way, let’s get into the best myofascial release tools (in no particular order). 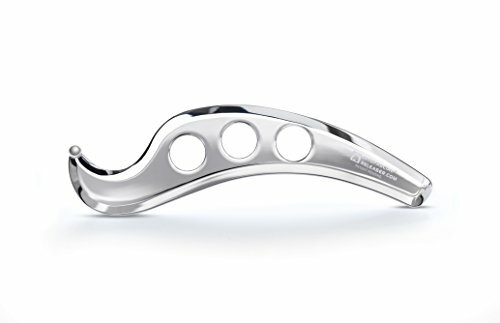 These kinds of tools are generally used by clinicians and massage therapists to help in instrument-assisted fascias mobilization (IAFM) and instrument-assisted soft tissue mobilization (IASTM), however, it is also possible to use these tools for self-myofascial release on some parts of the body. These tools come in a variety of materials however the ones that are crafted out of steel are said to be the best. If you are performing myofascial release on your own, it can be hard to target the back. To find out more, see our page on the best myofascial release tools for IAMFM & IASTM. A foam roller is a long cylindrical piece of foam used for myofascial release. Foam rollers are generally very firm (not squishy) which allows you to use the weight of your body against the foam roller to find and release trigger points. This is your bread and butter of myofascial release. It is the first tool you should get when first starting out. The classic foam roller is extremely versatile and can be used on most parts of the body. If you are interested in getting a foam roller but do not know which one to choose, see our page on the best foam rollers. Massage canes are primarily for performing self-myofascial release on the back, neck and shoulders. Massage canes are typically shaped like an “S” with strategically placed handles along the design for you to get a good grip. Multiple knobs and each end of the “S” can be used for myofascial release by pressing the knobs into tender areas on the body. 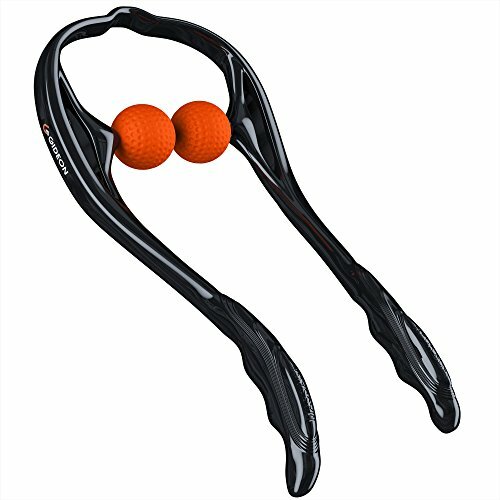 Body Back Buddy and the Thera Cane seem to be the market leaders when it comes to massage canes. Effective for the whole back and trap area. For a greater analysis of these types of myofascial release tools, see our page on the best trigger point massage sticks. 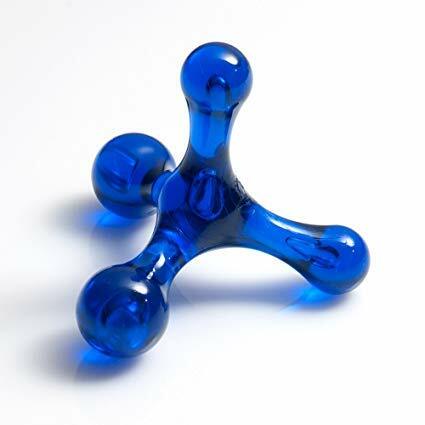 The neck massager tool uses a foam block, massage balls, and gravity to gently release sensitive trigger points in the neck. This multi-tasker can also be used for other body parts. Place the balls in one of the three available positions depending on your trigger points and anatomy. Carefully relax your neck onto the massager. Adjust the size and softness of the massage balls to meet your needs. Don’t have massage balls lying around? No problem. You can also use tennis, lacrosse or other similar sized balls instead. The main selling point of this tool is that it holds your massage ball still rather than having it roll around everywhere. These tools allow you to massage trigger points in the neck without laying down. The unique design wraps around the neck and two massage balls “pinch” onto the muscles and trigger points. Use the handles to control how much pressure is put on your neck and shoulder trigger points. This is a great tool for your desk if you get a tense neck at work. 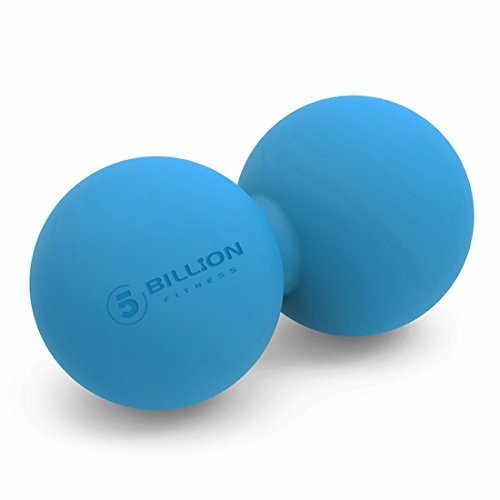 The peanut massage ball (otherwise known as the double lacrosse ball) has a double ball design that provides stability and accuracy for myofascial release all over the body. The small design is great for people who travel and need a lightweight, portable massager. The peanut massage ball is often one of the most underrated myofascial release tools. Most will have come across this tool for running down either side of the spine, which it works well for, but it also works well for other body parts. For example, it is great for running down the length of your quads, calves and even around the hip area. It provides a different type of pressure that is two-pronged rather than the standard one pressure spot from a normal massage ball. If you’re interested in getting a peanut massage ball but don’t know where to start, see our page on the best peanut massage balls. The standard small massage ball is a versatile, portable and effective massage device. You can use most massage balls on any part of the body which is why they are an essential myofascial release tool. They are particularly effective when used on the neck, biceps, forearms, back, chest, glutes, hamstrings, quads, calves and feet (practically any body part!). They come in all different surfaces, densities and sizes meaning you’ll be able to find the perfect massage ball for whatever your needs. To get started on choosing a suitable massage ball to get started with, see our page on the best massage balls. Massage roller sticks are a great tool to manually roll out your knots. The small design makes this a more portable version of a foam roller. Muscle roller sticks are a popular myofascial release tool among runners and athletes, due to how quick and easy it is to use after a run or workout session to prevent tight calves. Simply pull a muscle roller out and roll it up and down your quads, hamstrings and calves. Doing this will help massage your legs, relieve tightness and aid in quicker muscle recovery before your next workout session. To find out more, see our post on the best massage stick rollers. The Theraflow foot is an example of a ‘foot roller’ massager, which is a wooden roller with small pegs for a deep-tissue massage. This model is designed specifically to help with plantar fasciitis and trigger points in the feet. Foot rolllers are designed to be placed on the ground. You then, sit down and gently roll feet back and forth over the massager, stopping for several seconds on any trigger points. This massager has no give because it is made of wood, so “tread” gently. 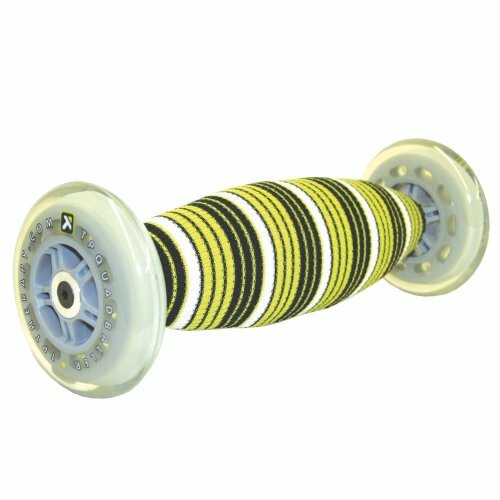 The Quadballer roller has a unique design with a long oval shaped roller with a rollerblade style wheel on either end. It’s just wide enough for a leg to fit between the two wheels. To use a quad roller, place the roller on the floor and lower the leg onto it, supporting yourself with your arms and other leg. Slowly roll back and forth, stopping on any trigger points for several seconds. This massager can be used in the same way as a foam roller on the legs and calves. If you travel and you need a roller for your legs, this one is more space-efficient. There are a variety of tools that don’t fit into a specific category other than looking ‘weird.’ These tools come with pointy ends of different lengths, shapes and sizes designed to reach deep trigger points around the body. The Jacknobber is one of the most popular tools in this category. Funny name aside, the Jacknobber tool is a handy little massager for myofascial release. This is discreet enough that you can keep it at your desk at work. As handheld massagers go, this does not require much grip strength and can be pressed down instead. In conclusion, there are many types of tools for myofascial release. Choosing the right one for you may take some trial and error. Generally speaking, foam rollers are better for deep tissue release and small handheld models are better for lighter pressure. If you’re starting out definitely go with a foam roller. As time goes by you’ll likely need something that can create more pressure in smaller areas. This is when you should perhaps look at the other tools. You can pick up 2 or 3 of these for the price of a single massage, so don’t be afraid to try them out and see what works best for you. With regular myofascial release, you can relieve pain, gain better flexibility and enjoy feeling better in your day-to-day life. However, when in doubt, seek the advice of a trained massage therapist or physical therapist for help learning how to use these tools.